Tea or chai is the second most popular beverage in the world. I feel instantly refreshed after a hot cup of tea. And nothing can beat the simple pleasure of meeting friends over a cup of tea. When I heard that a product called Chai Box has been launched in Dubai, I couldn’t wait to try it. 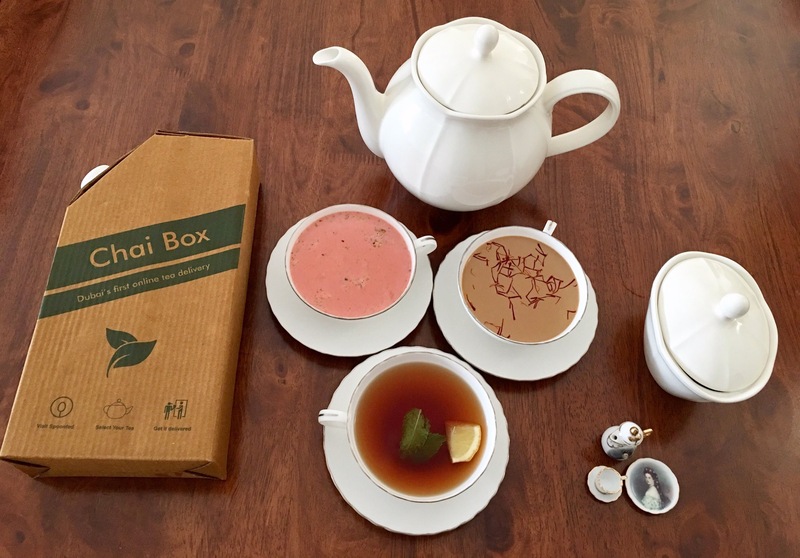 Chai Box is Dubai’s first online tea delivery service. They deliver anywhere in Dubai, no matter whichever part of Dubai you stay, Chai Box will deliver your tea to your doorstep. Chai Box is a flask full of chai in 5 different flavors, you can choose your tea according to your mood. All their teas and carefully crafted and brewed to perfection. Chai Box flask is completely recyclable and environment-friendly. It has a high quality food grade BPA-free (inner layer) pouch inside the cardboard box. Chai Box offers 5 different flavors and I tried three of them. Zafrani Chai or Saffron tea is my favorite flavor among their 3 flavors that I tried. Infused with saffron, it had a rich taste and aroma. Ruby Chai was so different and this is the first time that I tried it. Its a gourmet Kashmiri milk chai enriched with generous servings of almonds and pistachios. This chai is on the sweeter side. Black Chai was pure and unadulterated, this is good for all those who don’t like milk in their tea. They had sent lemon and mint separately in a small box, to add to the black tea. Sulaimani Chai is one of their varieties that I am yet to try. Classic Chai is the regular milk tea and it also comes with their exclusive Samosa Combo. What can you expect from their chai? High quality chai from the best tea estates in the world. The tea they supply is 100% organic and is free of any artificial substances. 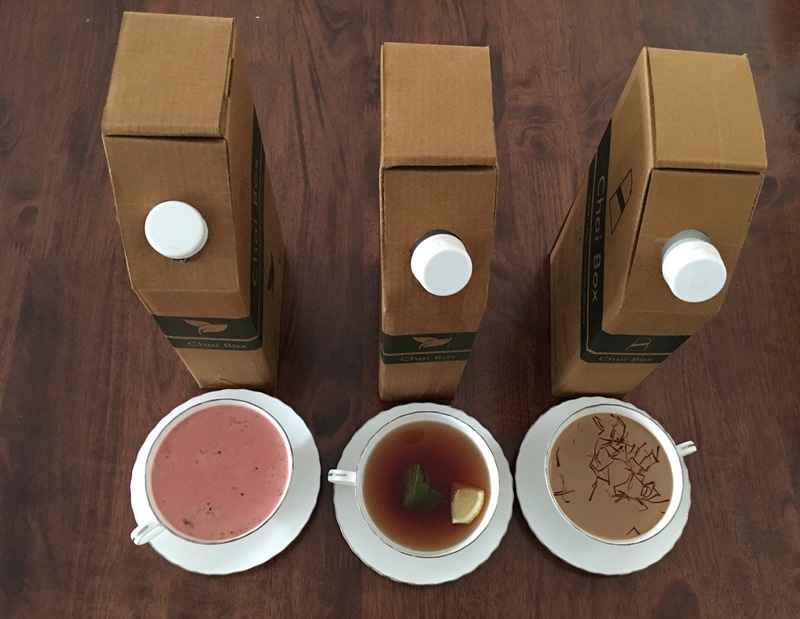 So you can expect freshly brewed cup of tea packed in a box and delivered to your doorstep. I really enjoyed my experience and would love to try the other two varieties that I didn’t try. Now I know where to go for my tea fix.